Lindstrom Tools is known for creating industry-leading cutters and pliers for a number of applications such as electronics assembly, medical device manufacturing, bead & jewelry arts, and more. We're excited to tell you about three newly available Lindstrom pliers we just added to our Web site. The Lindstrom RX7894 RX Series ESD-Safe Ergonomic Needle Nose Pliers, the 7894 Supreme Series ESD-Safe Needle Nose Pliers, and the LF7890 LF Series Lead-Free ESD-Safe, Chain Nose Pliers are now available from QSource.com. These tools fit right into the existing top-quality RX and Supreme Series and the new lead-free tools, LF Series. Lindstrom's RX Series is the compilation of more than 150 years of experience and expertise in making world-renowned ergonomic pliers. The RX7894 model joins this celebrated line that has become the favorite of jewelry, bead, and wire bending artists. Lindstrom's Supreme Series were created for general electronics work and precise wire bending applications. The 7894 ESD-Safe Supreme Series Needle Nose Pliers, like all pliers in the Supreme Series, features an advanced lap joint with a precision screw and nut, which ensures precise jaw alignment even at the extreme tips. Lindstrom's LF Series pliers and cutters were created to make it easy to choose which tools were safe to use in lead-free assembly areas. The Lindstrom LF7890 LF Series Chain Nose Pliers feature ESD-safe grips in the "get the lead out" industry-standard color, green. For other selections from the Lindstrom RX Series, Supreme Series, and LF Series pliers please visit QSource.com. 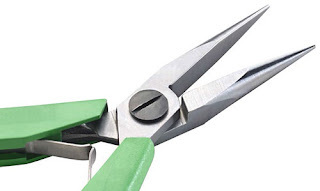 We also offer a large selection of Lindstrom Cutters and shears. For more information, or help choosing the right Lindstrom tool for your application, please call Q Source at 800-966-6020 or contact us via email. To place an order for these new pliers, or any other Lindstrom product, please visit our Lindstrom Tools Department at QSource.com. Ergomat wants to sell you the last mat you'll ever need to buy. Their Ergomat Infinity line of ergonomic floor mats is being touted as the "first ever ergonomic mat available with up to a lifetime warranty" and as a true "green" ergonomic mat. 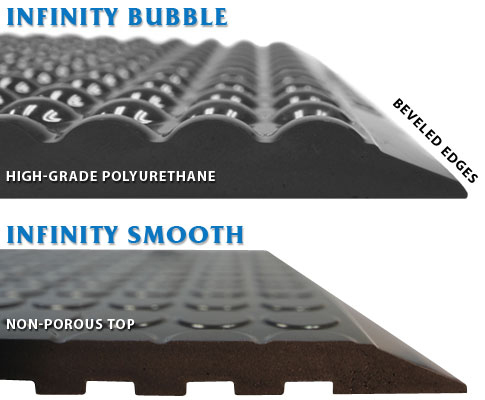 The Ergomat Infinity Mat (coming soon to QSource.com) is available in smooth or bubble style with ESD versions for both and was created to offer a Polyurethane mat with both ergonomic comfort and unbeatable durability. And with a nod toward being green and protecting the planet, these long-lasting mats meet Ergomat's goal of "Reduce, Re-use, and Recycle." Infinity Mats can be manufactured in custom shapes and sizes to fit the footprint of your workstation. And because they feature a very high chemical and UV resistance, they are perfect for use in the health care and pharmaceutical industries. Ergomat's Infinity line is also appropriate in critical areas for general industries. The regular warranty, for normal usage, of the Ergomat Infinity is 12 years. Ergomat offers the lifetime warranty option for dry or retail type environments under a service agreement. Regular usage relates to a user standing or walking on the mat while wearing regular footwear. Environmental requirements are a temperature under 77 degrees F (25 C) with humidity below 80%. The warranty covers the replacement of the mat (no direct or indirect costs are covered). So, under acceptable, regular use the Infinity Mat will truly be the last mat you'll ever need. For more information, or to purchase an Ergomat Infinity Mat, please call Q Source at 800-966-6020 or contact us via email. To place an order for other Ergomat products please visit our Ergomat Department at QSource.com. Whether it be our own "On the Bench" series or a great vendor-produced video, we always have our eyes open for great visual resources we can share with our readers. To that end, we spent a little time today exploring Hakko USA's Instructional Videos page*. 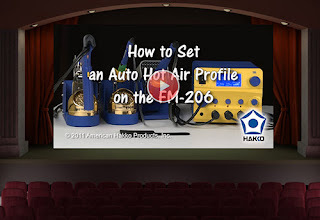 Hakko has created 21 (so far) excellent instructional videos covering a range of how-to topics and products. Interesting themes include "Learn the basics of SMD soldering and desoldering" and "Learn basic differences between tin-lead and lead-free alloys." Hakko product-related videos include informative tips for items like their FM-206 3-Port Rework Station, Hakko FR-803B Digital SMD Hot Air Rework System, Hakko FR-870 2-Bank IR Preheater, Hakko FT-8003 Hot Knife-Blade, Hakko FT-801 Thermal Wire Stripper, Hakko FX-888D Digital Soldering Station, Hakko FM-203 Dual Port Soldering System, Hakko FM-2022 SMD Parallel Remover, Hakko FR-1418 BGA Rework System, and Hakko FM-2024 Desoldering Module. 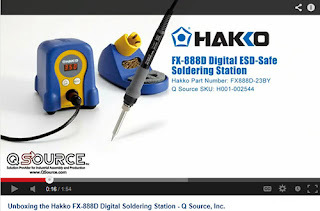 So, if you're looking for answers about a particular Hakko product, there's a good chance you'll find it on their Instructional Videos page (and don't forget to check out Q Source's YouTube channel for additional resources). For information, or to place an order for a Hakko product, please visit QSource.com's Hakko Department or contact us via email or at 800-966-6020. If there's a product or topic you'd like to see Q Source cover in an "On the Bench" video please let us know. We'd also appreciate if you share this blog post with your friends and colleagues via the social media links below. And, as always, feel free to leave us a message in the comments section. * Please note: Many of Hakko's videos can also be found on Hakko USA's YouTube page. Looking to safely outfit your cleanroom or critical environment staff? This month's Social Networking Sale offer aims to offer you the highest-quality solution, while also saving you money. Save an extra 10% off Worklon cleanroom and ESD garments for the month of April by using our Facebook discount code. Superior Uniform Group's Worklon line offers the best in coveralls, boots, Intersuits, and more. QSource.com carries more than 1,600 Worklon products including this Maxima High-Density ESD-Safe Cleanroom Easy-On Hood (1126-L - HD-ESD) and this Set-In-Sleeve Slip-Over Scrub Shirt (6717-L). Visit our Facebook Coupons page today and click on the "Like" button. Once you've done that you'll gain access to our 10% OFF discount and you'll be registered to take advantage of all future monthly sales after that. Please note: Our April Social Networking Sale offer ends on 4/30/13 and cannot be combined with other offers. 3M™ recently made announcements for three new products: The 3M H-800 Series Full Brim Hard Hat, the 3M Peltor™ Earmuffs X Series, and the 3M Static-Dissipative Heat-Activated Adhesive Cover Tape 2679. All three with a common purpose…to offer a protective covering. The 3M H-800 Series Full Brim Hard Hat provides head protection that is easy to wear with a nod toward alleviating workers' frustrations with hard hats. The H-800 Series Hard Hats feature a lightweight shell, new advancements in suspension design, and 3M's patented UV indicator. 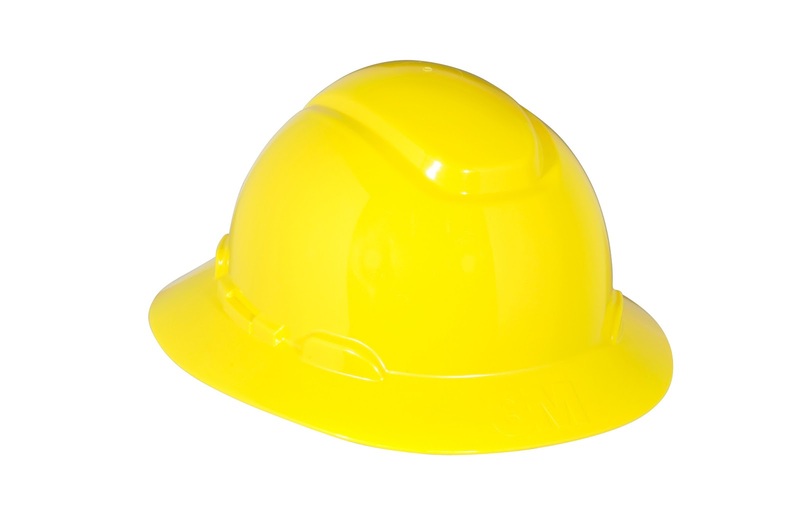 Available in eleven colors and three different styles (hi-viz, non-vented, and with the optional venting), the H-800 Hard Hat aims to meet workers' demands for comfort by offering three levels of adjustment; a smooth, easy-turning ratchet suspension; four- and six-point suspension combinations (enabling the hard hat to sit lower on head and reduce pressure points); and an absorbent brow pad. These high-impact resistant, full brim hard hats address safety concerns by using 3M Scotchlite™ Reflective Material for enhanced visibility and an optional UVicator™ Sensor that indicates when the hard hat should be replaced because of UV exposure. 3M's new Peltor X Series Earmuffs were created to protect the hearing of those working in high-noise environments. Featuring Noise Reduction Ratings (NRR) of 21 dB to 31 dB, which is the highest NRR earmuff available on the market, the Peltor X Series was created to set new standards in hearing conservation and comfort. 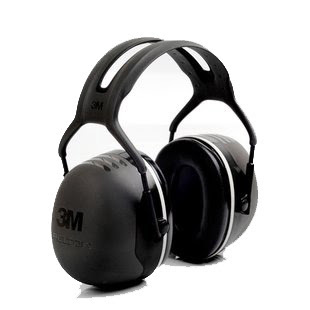 The 3M Peltor Earmuffs utilize a combination of cutting-edge technologies including innovative designs for spacers, earcup liners, and cushion foam. These lightweight earmuffs also feature a dielectric wire headband (and twin headband design), a low-profile design, color coding, and soft, wide, easy-to-replace cushions. The 3M Peltor X Series Earmuffs are available in over-the-head and hard hat-attached models. 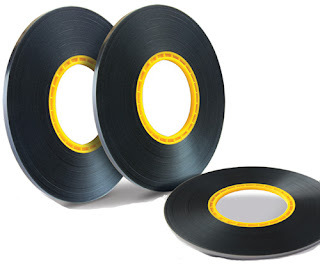 3M's Static-Dissipative Heat-Activated Adhesive Cover Tape (Model 2679) provides protection for packaging electronic components in tape and reel. The 2679 Cover Tape was designed to seal such components into 3M polycarbonate carrier tapes for storage or transport. The 3M 2679 Heat-Activated Cover Tape uses a heat application to seal with the carrier tape. The tape offers smoother peels (to reduce the risk of component migration and pick-and-place errors) and improved transparency for visual inspection (which also prevents picking mistakes), while protecting components from damage. The 3M Model 2679 Static Dissipative Heat Activated Adhesive Cover Tape is RoHS compliant and available in 480-meter roll format with widths ranging from 5.2 mm to 49.4 mm. To order any of these new 3M protective cover products please contact Q Source at 800-966-6020 or via email. We also offer almost 800 additional items in our 3M Department at QSource.com. Contact our helpful experts today for assistance with 3M solutions to meet your exact needs. Q Source has added a selection of Valutek 4G Nitrile Powder-Free Gloves to QSource.com. Valutek is a leading manufacturer of quality product solutions for cleanroom and critical environments. Their products include wipes, gloves, glove liners, sticky mats, apparel, ESD control, documentation, and cleaning & maintenance items. The Valutek 4G Nitrile Gloves are 100% nitrile material with beaded cuffs. Designed to provide easy donning and comfortable use, these ambidextrous gloves feature a smooth surface and textured finger tips to ensure a positive grip while reducing particle count. Valutek, headquartered in Phoenix and founded in 1988, manufacturers items that are utilized globally in a number of industries such as pharmaceutical, electronic, and biomedical. Their global operations are committed to enhancing quality and performance in the contamination control arena. For questions about the 4G Gloves, or other Valutek product solutions, please contact Q Source via email or at 800-966-6020. Yes, it is true that the Material Safety Data Sheet (MSDS) will now be known as the Safety Data Sheet (SDS). 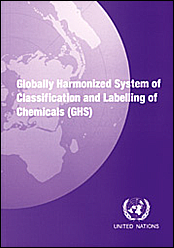 This is part of OSHA's (Occupational Safety & Health Administration) goal to match their requirements to the United Nation's GHS (Globally Harmonized System of Classification and Labeling of Chemicals) standards. The main goal of these changes is to save time, money, and lives. The Q Source Resource will be presenting a more detailed look at these changes in an upcoming feature, but for now let's look at the SDS changes. To align with the UN's GHS, OSHA’s HazCom 2012 regulations call for the MSDS to now be called SDS and require a 16-section layout with specific information in each section. The current standard (HazCom 1994) does not require the MSDS information to be presented or formatted in a specific way. The new SDS format will be familiar to many U.S. workers because it uses the same format as the ANSI standard. Identification of the substance or mixture and of the supplier – This section must include the manufacturer/distributor name, a product identifier, the address and phone number of the contact, an emergency phone number, and the recommended use with any restrictions listed. Hazards identification – This section refers to all hazards regarding the chemical and includes the required label elements. Composition/information on ingredients – This section contains the chemical ingredients and any trade secret claims. First aid measures – This section includes vital data about symptoms/effects (acute or delayed) and what treatment is required. Firefighting measures – This section pinpoints the recommended extinguishing techniques, what firefighting equipment is necessary, and what chemical hazards are present from a fire. Accidental release measures – This section pertains to the emergency procedures, protective equipment, and proper approaches to cleanup/containment needed from an accidental release. 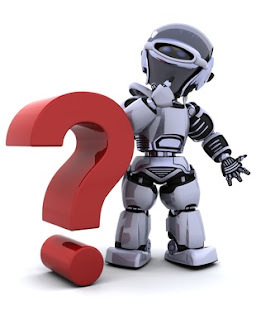 Handling and storage – This section describes precautions for safe handling and storage and points out any incompatibilities. Exposure controls/personal protection – This section lists the appropriate engineering controls and recommended personal protective equipment (PPE) and advises about OSHA’s Permissible Exposure Limits (PELs) and Threshold Limit Values (TLVs). Physical and chemical properties – This section presents the chemical’s characteristics. Stability and reactivity – This section warns of possible hazardous reactions and describes the chemical’s stability. Toxicological information – This section lists the numerical measures of toxicity, routes of exposure, related symptoms, and the acute/chronic effects. Ecological information - This section lists the ecological information. Disposal considerations - This section contains the disposal considerations. Transport information - This section lists the transport details. Regulatory information - This section describes the regulatory information. Other information including information on preparation and revision of the SDS – This section contains information regarding the date of preparation, last revision, and all other pertinent facts. Please Note: While sections 12-15 must be included in the SDS to meet GHS standards, the content of those sections will not be enforced by OSHA because it falls under the jurisdiction of other agencies. The first deadline for the new GHS standard and SDS format is December 1, 2013: Employers need to have begun training employees about the new GHS standard including the chemical label essentials and the new Safety Data Sheets. Future deadlines include June 1, 2015 (reclassification of chemicals by chemical manufacturers, distribution of SDSs, and updated chemical labels), December 1, 2015 (updated SDSs and chemical labels should be included with shipped products), and June 1, 2016 (Workplace labeling and hazard communication updated and full GHS compliance achieved). There you have it, a quick look at OSHA’s new Safety Data Sheet format. This is slightly less detailed than my RDS (Robot Data Sheet), but that’s a story for another day. Properly protecting your workers in critical environments is extremely important for their safety and the quality of your products. Worklon, from Superior Uniform Group, is a line of high-quality cleanroom & ESD garments made to offer protection in these types of workplaces. With our April Social Networking Sale, you can get the worker protection you need AND save an extra 10% off at QSource.com by using our Facebook discount code. Among the more than 1600 Worklon items at QSource.com, you'll find a wide selection of Cleanroom Coveralls, Cleanroom Boots, and Cleanroom Frocks. We also have dozens of cleanroom hoods like this Polyester Taffeta version and hundreds of lab coats including this Unisex, Knee-Length with Knit Cuffs. To get your 10% off Worklon discount code, head over to our Facebook Coupons page and click on the Like button (if you haven’t already). Once you've done that you'll gain access to this month's and all future monthly sales after that. Please note: Our April Social Networking Sale offer ends on 4/30/13 and cannot be combined with other offers.